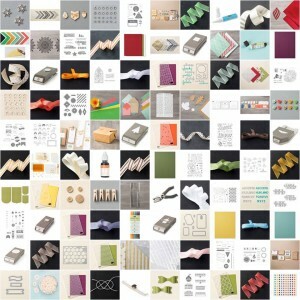 New items (including Fast Fuse and ink refills) have been added to the Clearance Rack in the online store! Supplies are limited, and with discounts up to 60%, products will go quickly. Shop HERE to place your order. 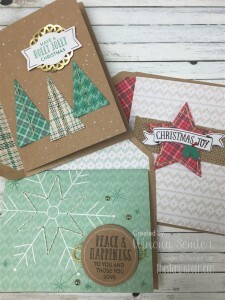 Are you looking for a simple way to get your Christmas cards done this year? 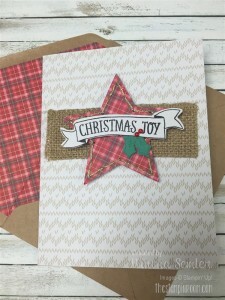 I LOVE our new Stitched With Cheer Project Kit. Stitching is a very hot trend right now in the paper industry, and it takes me back to my cross-stitching days. The Stitched with Cheer Kit makes 18 cards: 6 of each of these 3 designs. Each design is already pierced…you just need to poke them through with your needle (which also is included:)) They are SO beautiful in real life. And I love that they come with coordinating envelope liners. 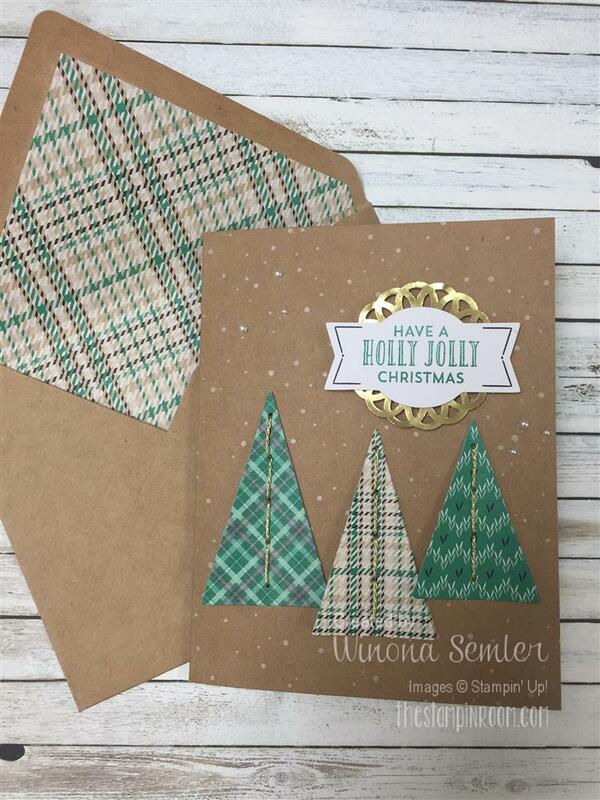 On this one, the trees are 3-D…you sew through 2 layers…adorable. This one is sewn with white and gold baker’s twine. 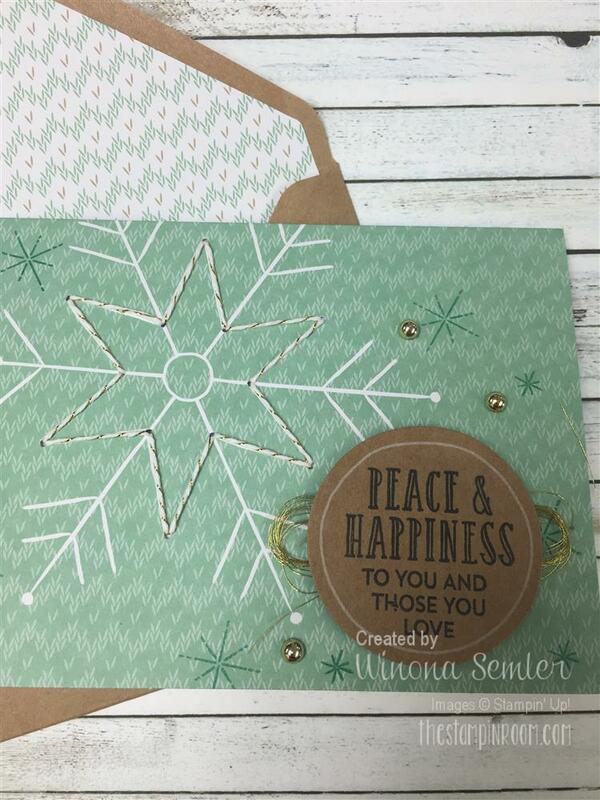 The gold enamel dots add that special accent to each card. And finally… I think this is my favorite. 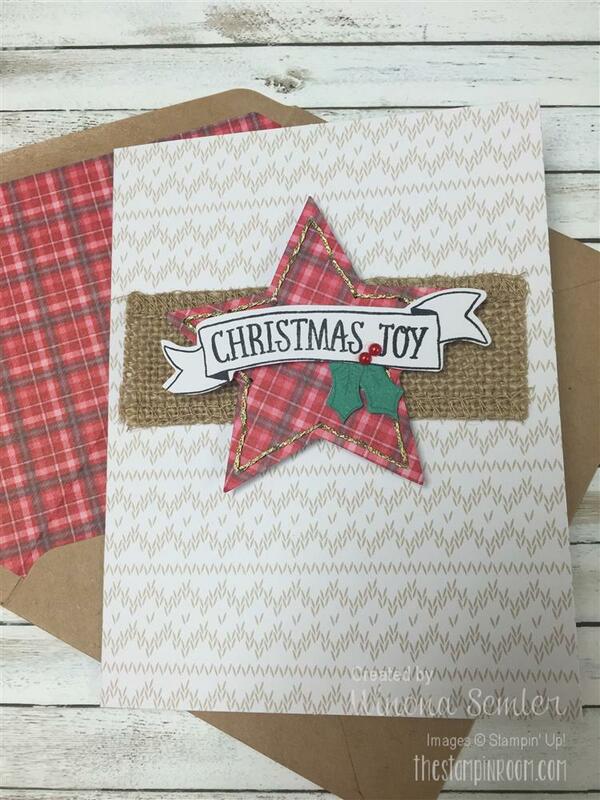 I still love the country look of burlap and plaid. 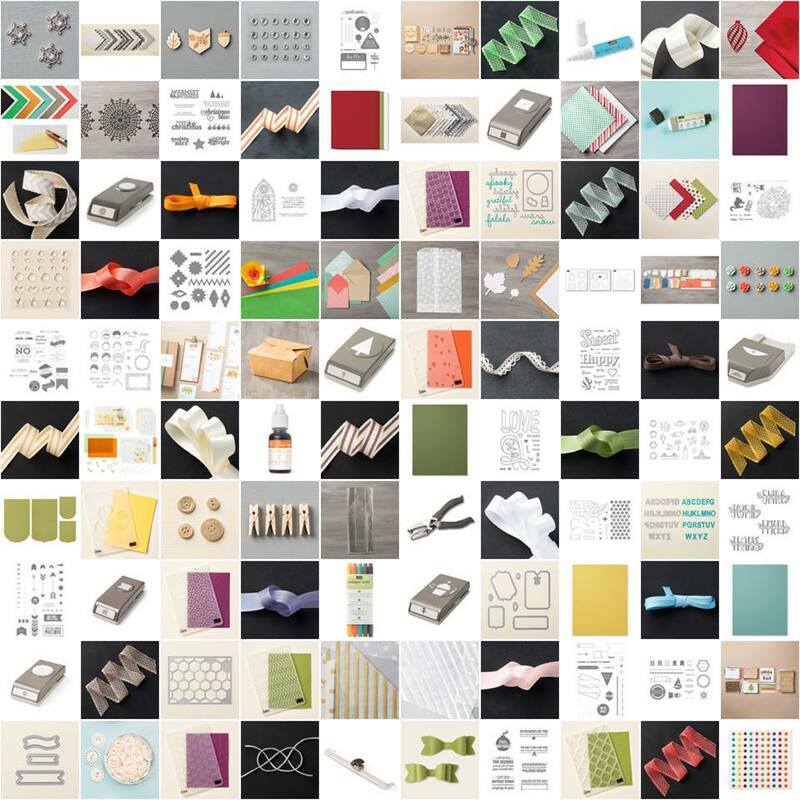 If you watch this video before you begin assembly, it has some helpful tips for you. I will be buying a few of these kits this year. I put the first one together on our last road trip. It’s great to take with you anywhere. 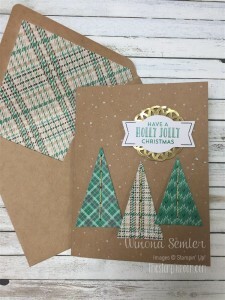 Stitched with Cheer Stamp Set (p. 34 of the Holiday Catalogue), Basic Black Archival Stampin’ Pad, Emerald Envy Classic Stampin’ Pad, and adhesive. The Clearance Rack has been updated! Great stuff on there. As well as the Special Offers of the week. 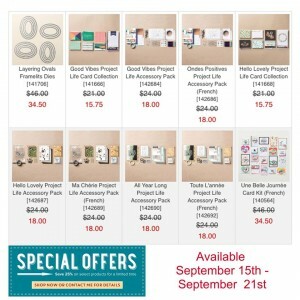 Now is a great time to get Project Life cards at an amazing price! For you…AND to give as gifts. What about stocking stuffers?? 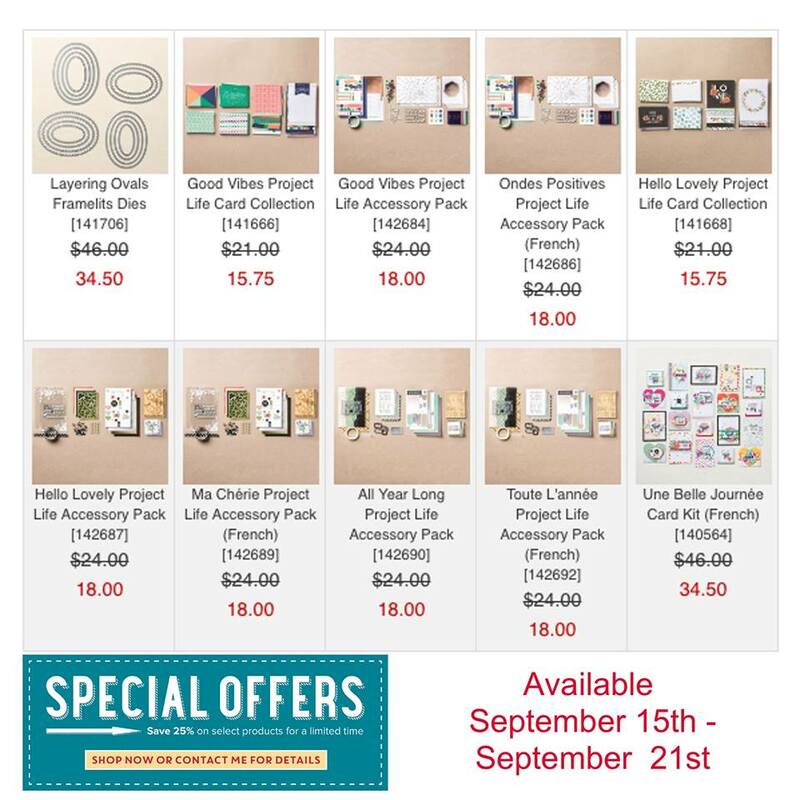 When you are ready to place an order, click HERE to go to my online store. It’s not too late to get in on one of the product share groups! 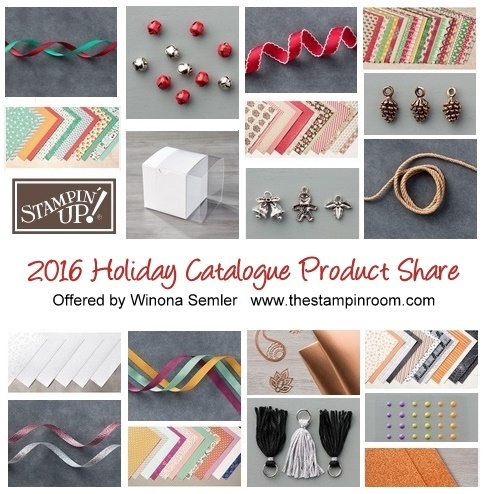 You get a small sampling of all the new embellishments and papers in the 2016 Holiday Catalogue for just $38!! Email me at winona@thestampinroom.com to reserve your spot today.